You called? We’re on our way to your event with our award winning barbecue! 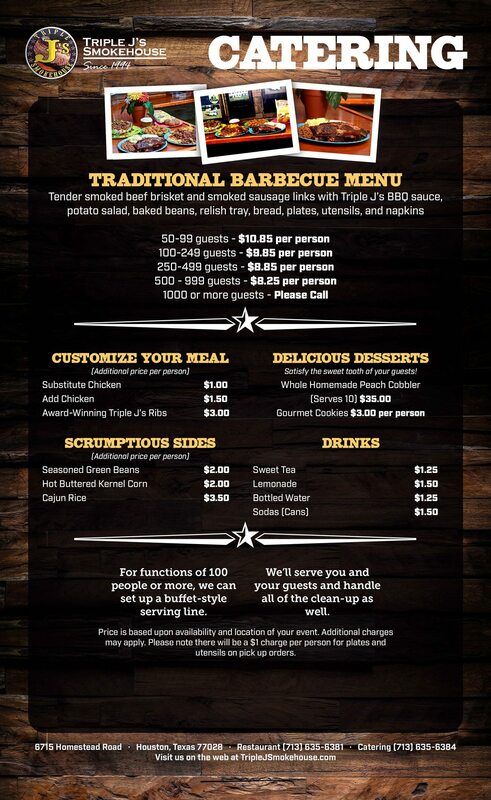 No matter what type of event it is — corporate luncheons, school and church events, weddings, golf tournaments, picnics, or parties — Triple J’s Smokehouse will be there with our full service catering! Just give us a call and we’ll make it happen.